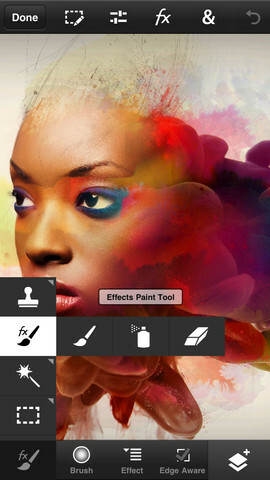 Today, Adobe released Photoshop Touch for iPhone. Use popular Photoshop features, such as layers, selection tools, adjustments, and filters, to create mind-blowing images. Start a project on your iPhone or iPod Touch and finish it on your iPad* or back in Photoshop** at your desk using a free membership to Adobe Creative Cloud™. *** Your projects are automatically synced between your devices. Requirements: Compatible with iPhone 4S, iPhone 5, and iPod touch (5th generation). Requires iOS 6.0 or later. This app is optimized for iPhone 5. Please note: this is a separate app from Adobe Photoshop Touch for iPad, which is an additional purchase.